Cube Stereo Hybrid Pro at a cairn on Cam High Road during our Pennine Bridleway ride. 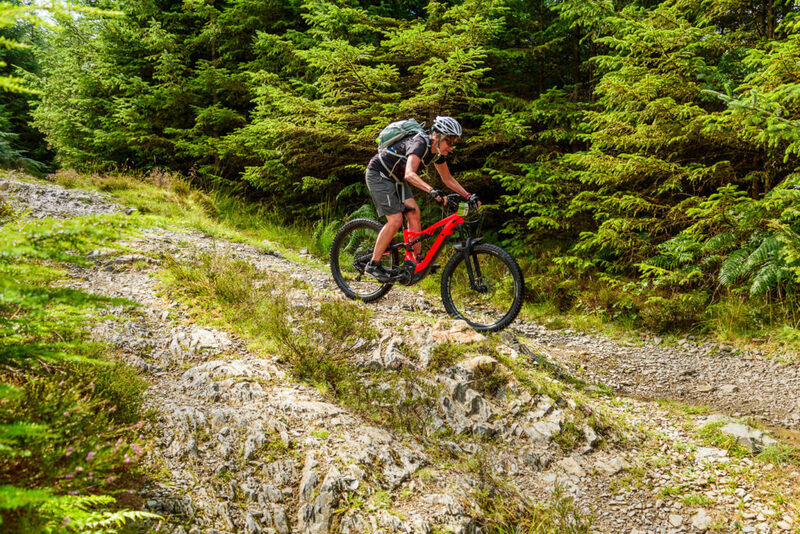 The mountain bike world loves its trends: 29-ers, 650b, 1x transmission and fat-bikes have all stirred the pot in recent years. But Jon Sparks doesn’t think any innovation has stirred up as much talk – and controversy – as e-bikes. E-bikes aren't new. I'd always thought of them as ugly brutes, looking top-heavy with those big blocks of batteries; they might be OK for canal towpaths but you wouldn't want to go near any technical mountain bike trails. 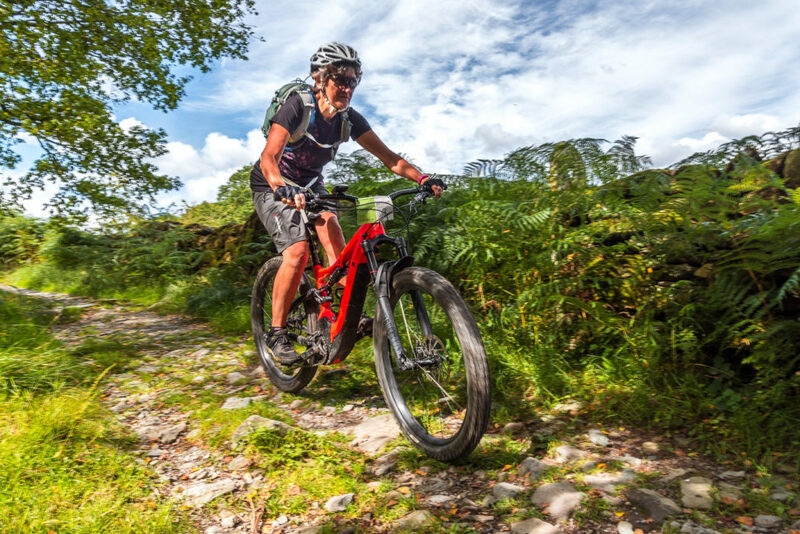 Then things started to change: people I respected were saying complimentary things about the latest generation of e-mtbs, and I began seeing a few on respectable trails. Still, I thought of them as something for other people. 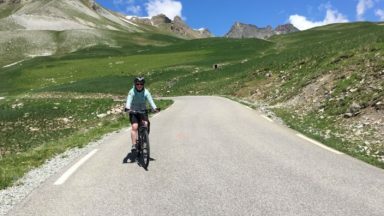 I took great satisfaction in being able to ride up climbs under my own steam – and when I couldn't quite make it, that was part of the experience. Descents tasted better when you'd earned them. Then two things happened. I was approached to write a feature on e-mtbs. Then, before the promised loan bike – a Cube Stereo Hybrid 140 Pro – actually arrived (a long story! ), I started having a few health problems. Going up hills was getting conspicuously harder. When the bike did arrive, it could not have been more timely. Still, first impressions could have been better. The aesthetics were a vast improvement on old-school e-bikes, but it didn't strike me as beautiful, the way bikes can and should be. More to the point, it was heavy. Even taking it out of its box was an effort, and hoicking it onto a car roof-rack seemed all but impossible. 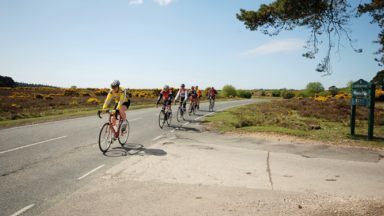 I was finding it hard to see how it would deliver the lightness and freedom which, to me, are among the best aspects of riding a bike. 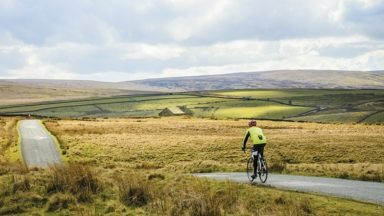 But my early solo rides, locally around the fringes of the Forest of Bowland and then on the moors above Pooley Bridge on the edge of the Lake District, quickly forced a reassessment. Perhaps this is where I should clarify a few finer points relating to e-mtbs, and indeed to e-bikes in general. What we are talking about are officially termed ‘electrically assisted pedal cycles’ (EAPCs). The regulations require that the bike can be ridden on pedal-power alone, but not solely on electric power; ie. you can't just 'twist the throttle and go'. In fact, there is no throttle. The key word here is 'assisted'. 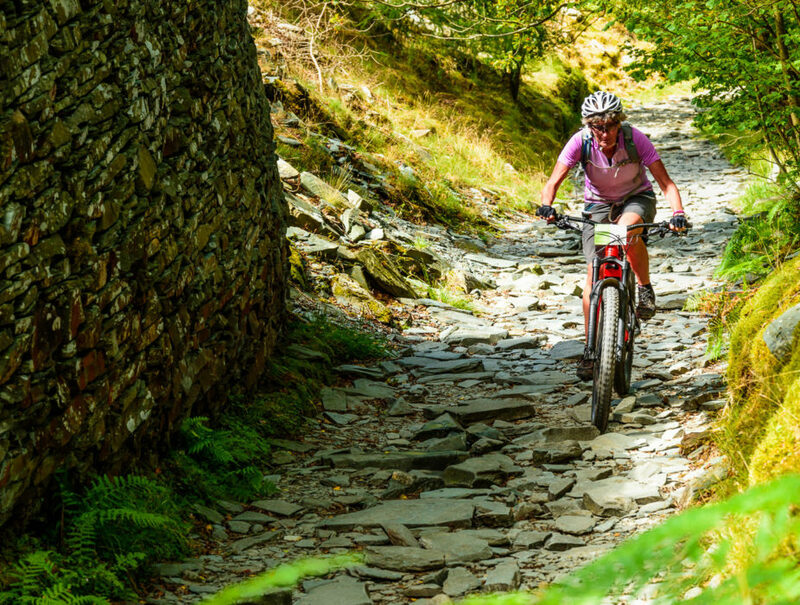 E-bikes don't replace the rider's effort; they only assist it. (A better word might be 'augment'.) The maximum power available for this is 250 watts – which is about what a good club rider might maintain for an hour. The e-assist must also cut out at speeds over 15.5mph (31kph). Unfortunately, there are bikes around that don't meet these criteria, whether dubious imports or once-legal bikes that have been 'chipped' to remove the restrictions. Legally, these are mopeds, so riding on the road requires a licence and a suitable helmet, while riding them off-road, on bridleways or restricted byway, is an offence. The law is different in Northern Ireland, where all e-bikes are currently treated as mopeds. For me, a strictly legal ride was still something of a revelation. Now I get it… It absolutely didn't feel like a motorbike or moped, but the first tarmac climb out of Pooley Bridge made me feel like I was back to full fitness, maybe even if I was on my road bike. Tarmac climbs on a mountain bike have always made me long for my road bike: now, not so much. But I was still gasping at the top. In fact, the e-bike was encouraging me to put in the effort because I could feel a reward whenever I did. The final descent of that ride, from the Cockpit stone circle to Howtown, is an absolute classic: fast, fun and scenically gorgeous, but it wasn't testing enough to give me a real sense of how well the Cube handled technical downhills. 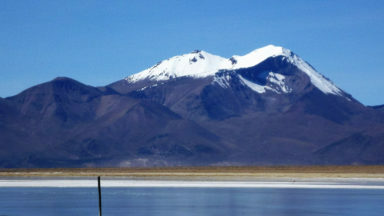 For that, where could be better than the South Lakes? 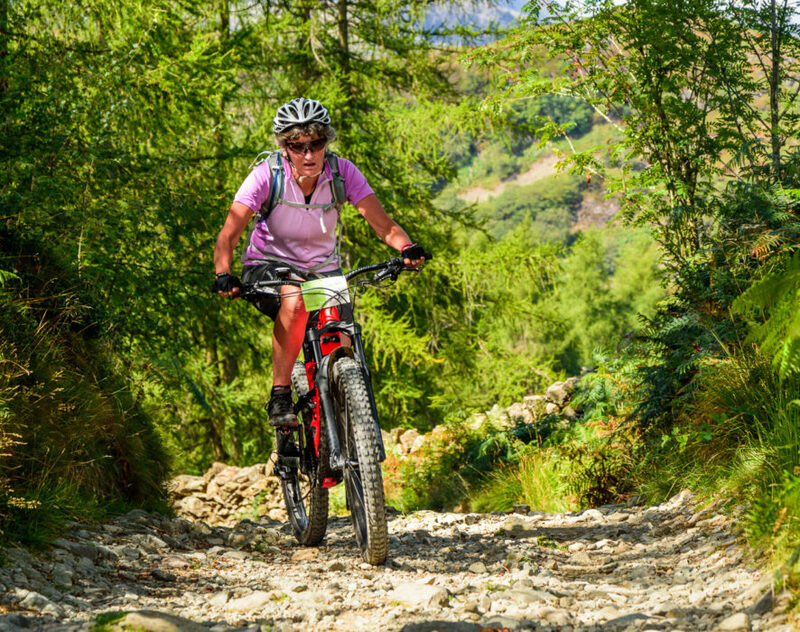 There aren't many places that have a greater concentration of really fabulous technical trails than those in and around Grizedale Forest and just to the north – Tilberthwaite, Iron Keld, Black Fell and more. It has to be my favourite place to ride, and I know the trails pretty well, which makes it easier to get a comparison between different bikes. Round here I was also joined by my partner, Bernie. 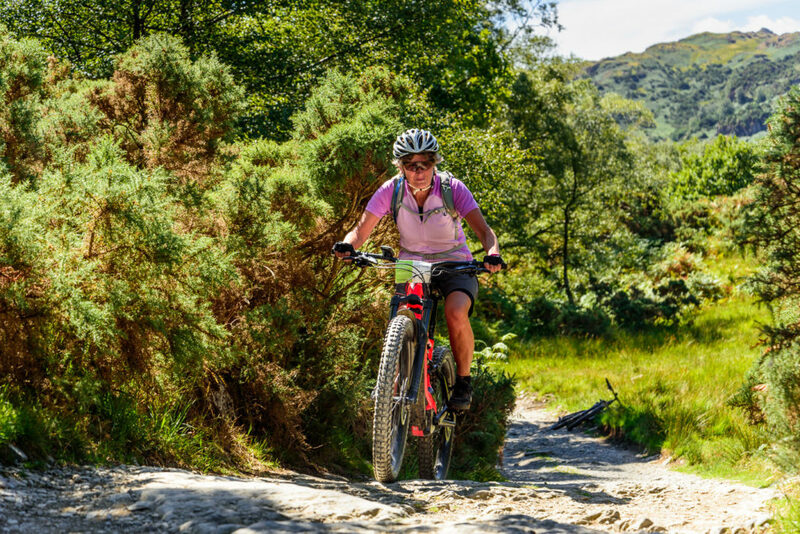 To keep things fair, we rented an e-bike from Grizedale Mountain Bikes – a Specialised Turbo Levo. I can't directly compare the riding experience with the Cube, but a couple of things were clear to me very quickly. It was prettier than the Cube, and it was a lot quieter. If I had one beef with the Cube, it was the distinct whine of the motor. As for how it rode, I have to rely on Bernie's report, and the evidence of my own eyes. Which told me, first, that she adapted very quickly, and second, that we were both soon riding – with confidence – trails that had always been in that most 'interesting' area, around the margin of the comfort zone. Yes, e-bikes are heavy. The Cube was 23kg – close on 10kg heavier than the closest non-augmented equivalent from the same manufacturer. 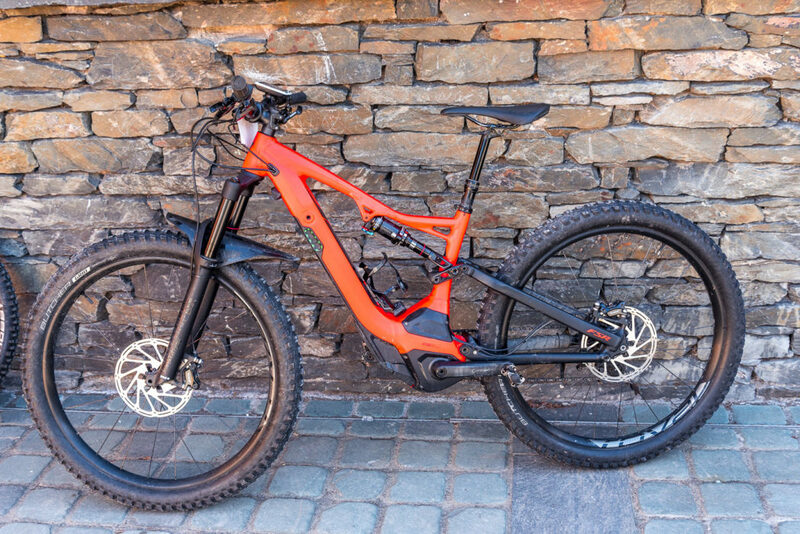 They'll get lighter; already there are full-suspension e-mtbs under 20kg, like the latest carbon-framed Levo FSR from Specialized. 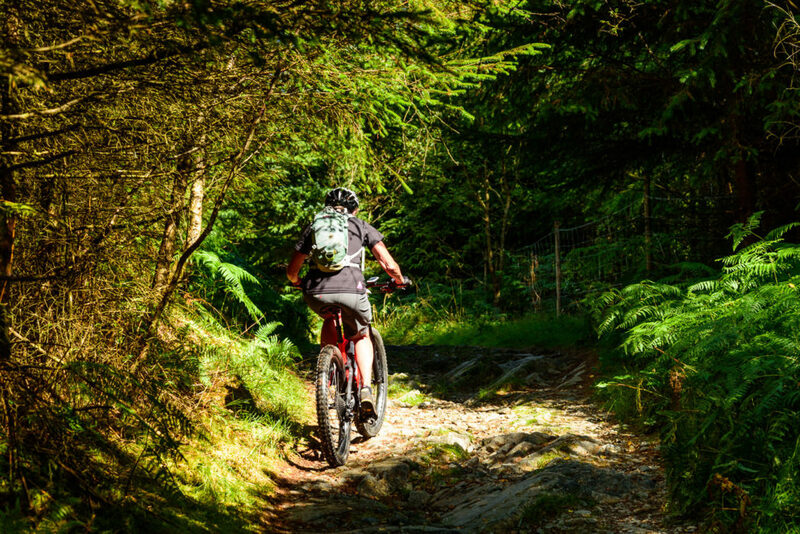 But there's still a substantial weight penalty over regular mountain bikes, and that's a real issue for many riders. I've mentioned loading them onto a roof-rack. 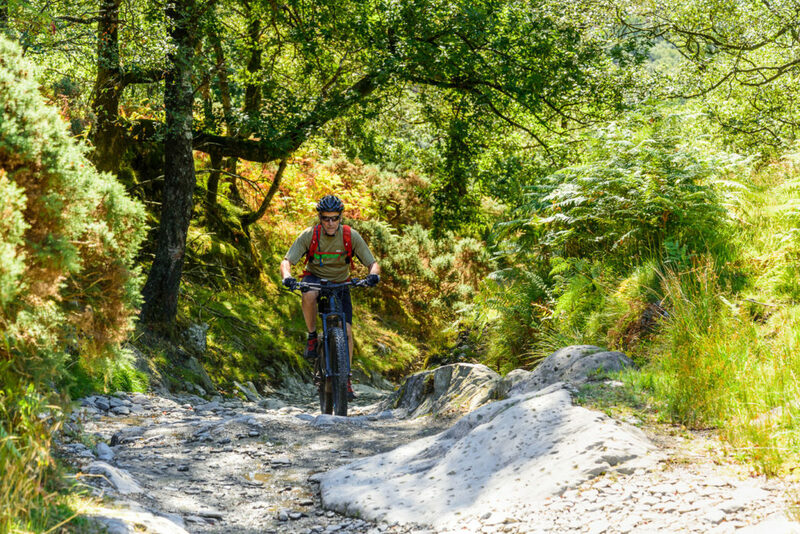 It could be even more of a problem if your rides take you onto terrain that requires a bit of hike-a-bike. Equally, there's a cost penalty. The Cube carried a £1000 premium over its non-augmented stablemate. The cheapest of the 2019 Specialized Levo FSRs is listed at £4999; double that for the top-of-the-range S-Works carbon model. Another factor that has to be considered is battery life. 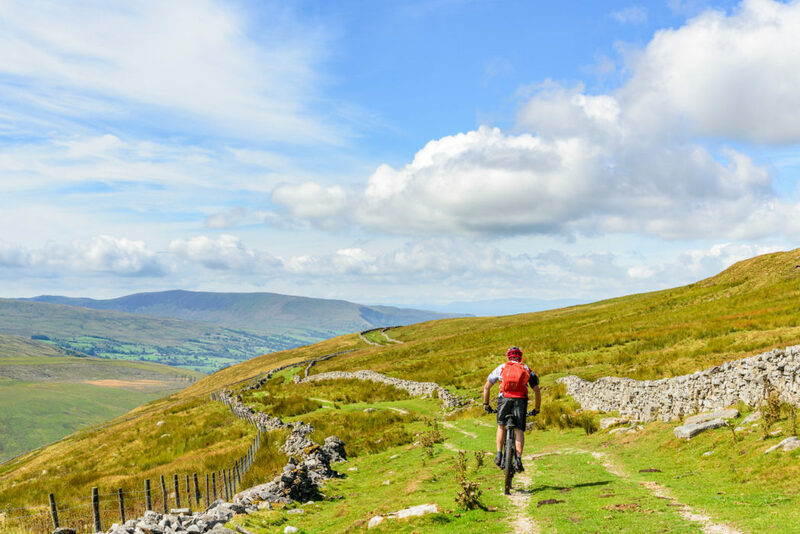 My benchmark for this is a ride we did in the Yorkshire Dales, mostly following the Pennine Bridleway between the stations at Horton in Ribblesdale and Kirkby Stephen. After 50km and 1000m of ascent, my battery meter was down to one bar, indicating (at best) 20% remaining. That had been ridden mostly on the 'Tour' setting, the second lowest of four levels of assist. 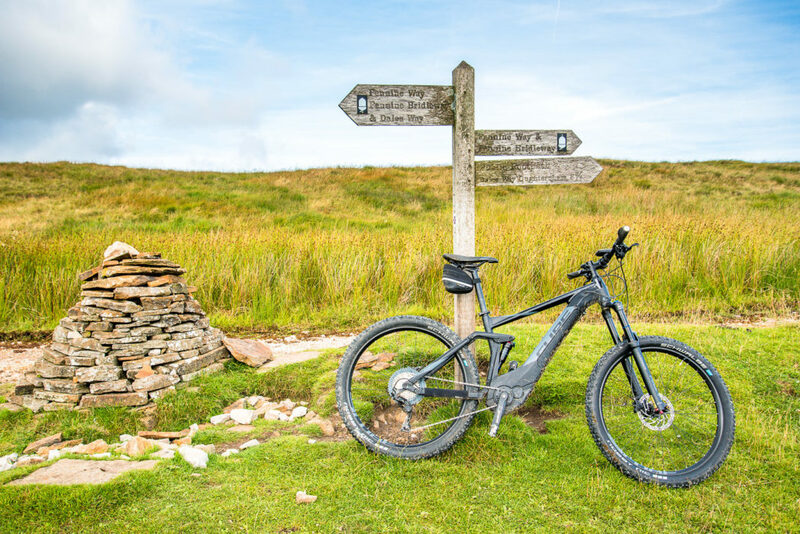 This is clearly a major stumbling block for longer or multi-day rides; either carry a spare battery – one for the Cube would be 3kg – or find somewhere to plug in and recharge – but the charger isn't a featherweight either. If you do run out, you'll suddenly notice that weight penalty all over again. So, e-mtbs give plenty of reasons for thought. And here's another: ride one, and not everyone will love you. There are the accusations of 'cheating', concerns about erosion, and more. I can't say the 'cheating' claim bothered me much. The loan of an e-bike happened just at a time when otherwise I wouldn't have been able to get out much. 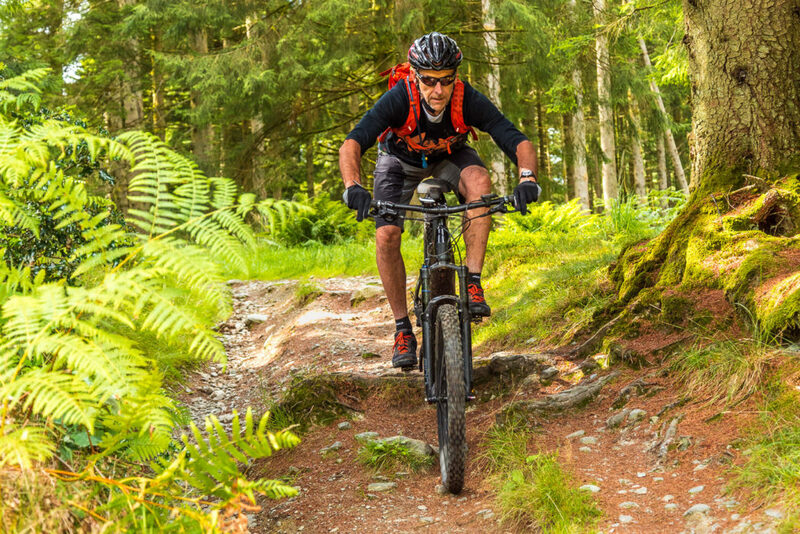 E-bikes can level the playing field if you have friends or a partner who's fitter than you are. Even as I work back towards full fitness, I can see the attraction when I want or need to carry heavy camera kit. 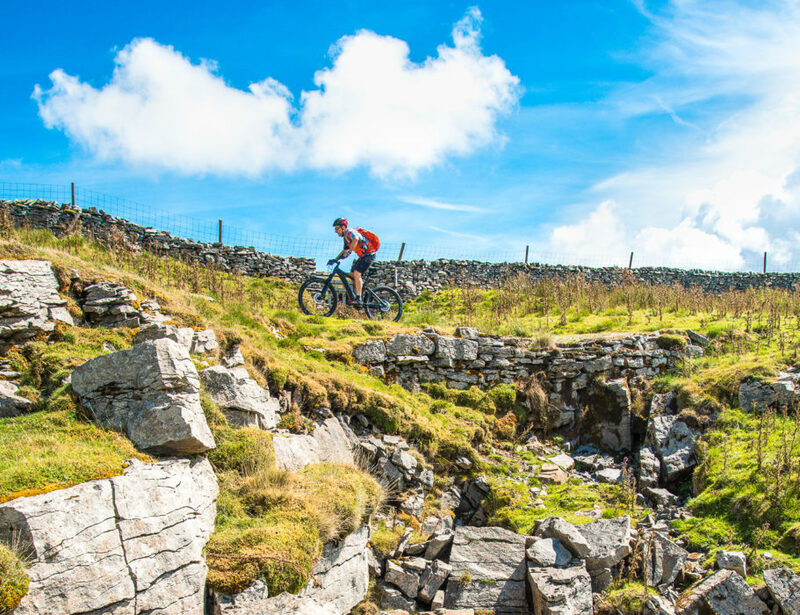 Nor did we ever feel that any of the riding we did was more likely to lead to erosion than if we'd been on our regular bikes. As always, consideration and responsible behaviour is key, for all hillgoers. But maybe this aspect – consideration and responsibility – raises a more subtle concern? 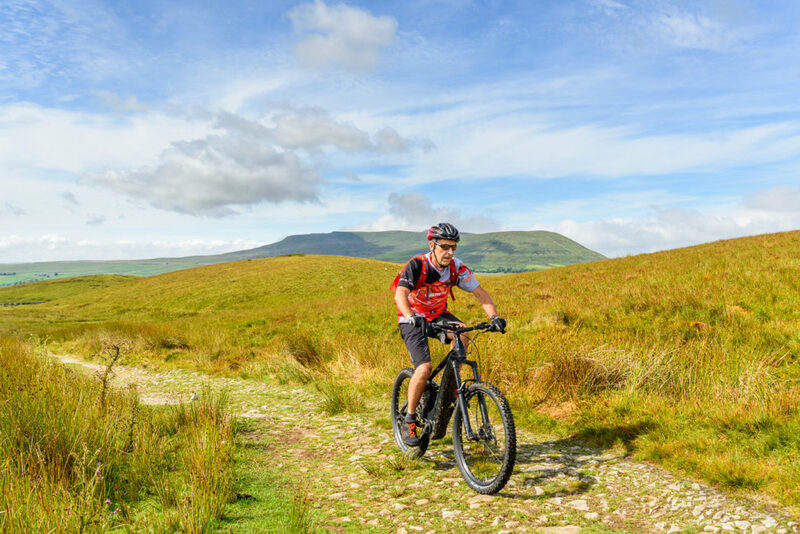 Could e-mtbs be encouraging people out into the wilds with no grounding in mountain biking and no wider hill skills either? Of course, this can all too easily sound like an elitist argument: some of us have somehow 'earned' the right to explore wild places but others haven't. And, after all, everyone has to start somewhere. I've returned the Cube now and I've no immediate plans to buy an e-bike. But as I get older, or if other health problems present themselves, it will certainly be a possibility. And in the relatively short time I had with it, I've learned a lot – and had a lot of fun. And that's what bikes are all about. I’ve just read Jon Spark’s good article about e-bikes in your monthly circular. 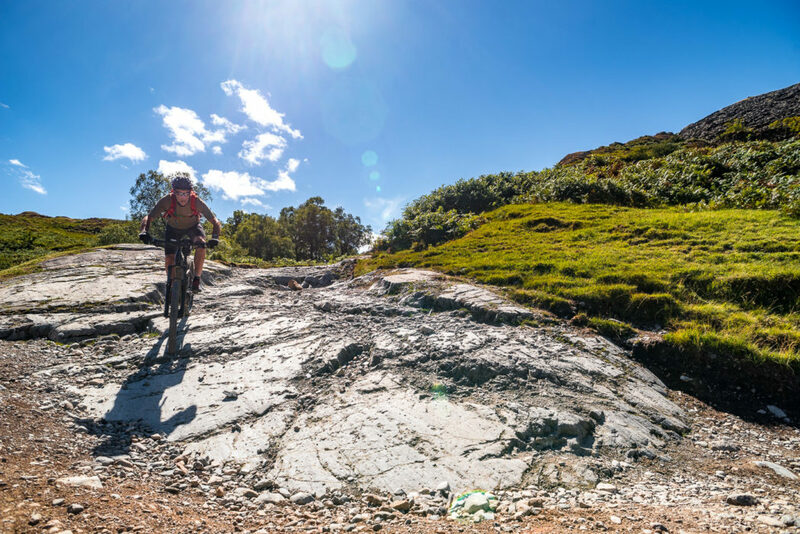 A fairly balanced piece but written after a limited trial and from the standpoint of a very keen, tough, long distance, northern mountain biker. And a young(ish) fellow at that. My own experience is rather different, as naturally are my requirements. 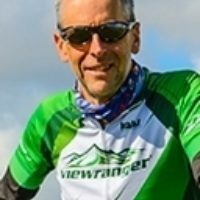 As a long-time mountaineer, living in Wessex a long way from any mountains, I bought a mountain bike some twenty years ago to explore the drove roads, bridle paths and forest tracks which proliferate down here – and to keep fit, of course. Salisbury Plain and the chalk downs of Wiltshire, Dorset and Somerset, often rugged and steep, offer great off-road routes, while a good mountain bike is useful for accessing remote locations – for instance I photographed my Ridgway book by bike. But age creeps up and there comes a time when it becomes necessary to get off and push up even the not-quite-so-steep hills. And then one day on a large mountain my knees went and thereafter pushing bikes up steep hills became agony. 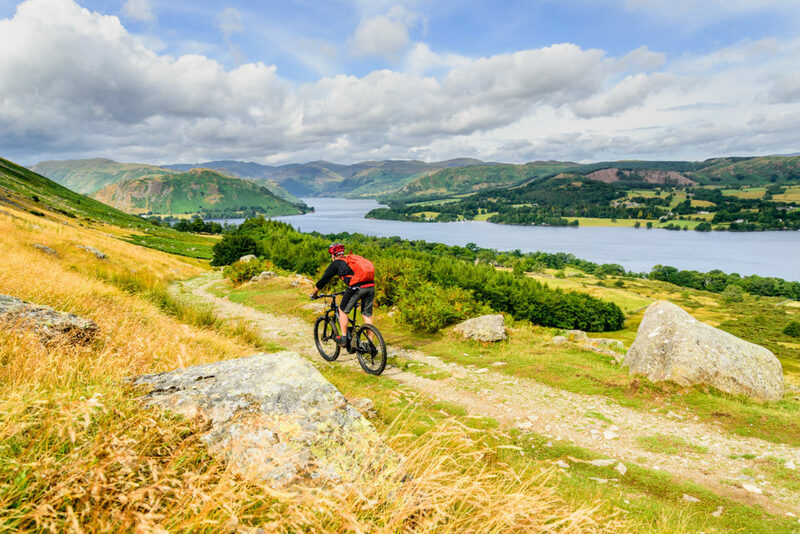 But while awaiting a new knee I heard stories of how self-respecting Lakeland climbers were seen zooming all over the mountains on e-bikes, and then a young chum, a hot-shot biker, told me of his surprise to be passed on his favourite steep test hill by a really elderly fellow…who turned out to be riding an e-bike. “That’s what you need" he said “You’ll be thirty years younger!" So I did a lot of research, even discovering that aficionados race e-bikes UP-hill in the Eastern Alps. So eventually last May my Salisbury bike shop lent me one for a half day and on returning I ordered a Cube Pro500 there and then. But it wasn’t cheap. By Christmas I’d ridden over 1200 miles, mostly off road and usually out and back from home. And collected seven punctures – but that’s not the bike’s fault. Most people don’t realise that the tiny electric motor only augments the rider’s own power, he must keep pedalling, in fact pedalling hard when necessary. My bike has the usual range of mountain bike gears, but it took a while to learn to co-ordinate the gears with the appropriate power setting, a subtle relationship, and in eight months I have yet to get off and push though some of the tracks on those chalk scarps are vicious. But. The battery gives me at least 40 – 50 miles but I only use the more powerful settings when I have to; on flat country, a canal towpath for instance, I’d expect to get 70 or 80 miles from a charged battery. Often I ride with power off but a burst of power is useful in deep mud, crossing plowland or in long grass. As Jon points out, the bike is not light but perfectly handleable and with the battery and front wheel removed I can lift it without difficulty into the back of my Honda hatchback. 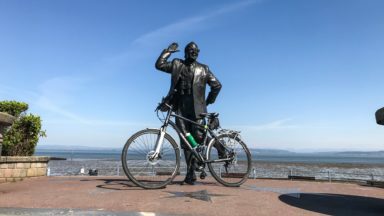 I’m pushing 83 now with serious arthritis and the fruits of seventy years of serious mountaineering but my E-bike has revolutionised my life. No longer do I hobble up stairs, no longer do I need a new knee. 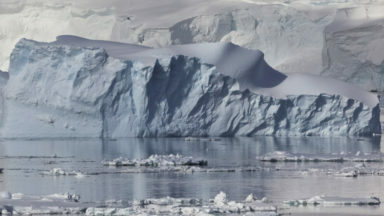 I can make my rides, my expeditions, as physically demanding, or not, as I feel like, while I have the radius of action the I’d have enjoyed thirty years ago. I’d not want Jon’s more ‘senior’ readers to be put off. E-Bikes are truly a revolution. Get a good one and you’ll never look back. You won’t need to!